Homemade Split Pea Soup, gives that comforting “I’m a little kid again” feel. When I was little, a bowl of soup in the Fall and Winter months, somehow made everything better. Warms the soul, and fills the tummy. The smell of soup simmering on the stove for hours on end, waiting and waiting for it to be ready….it is the best way to end the weekend with, before that dreaded Monday morning comes, be it school or work…send your loved one off to bed with a full belly full of soup! Now I make my soup a bit different than my mother ever did. Blame it on the 70’s, or that brand called ” Campbell’s soup”, but I am a bit of a food snob I will admit! And it did not come from my mother, LOL! I love making my soups from scratch. Yes, get the beans/ peas from the bulk bins and soak them overnight. Skip that canned stuff….trust me, it tastes ten million times better! 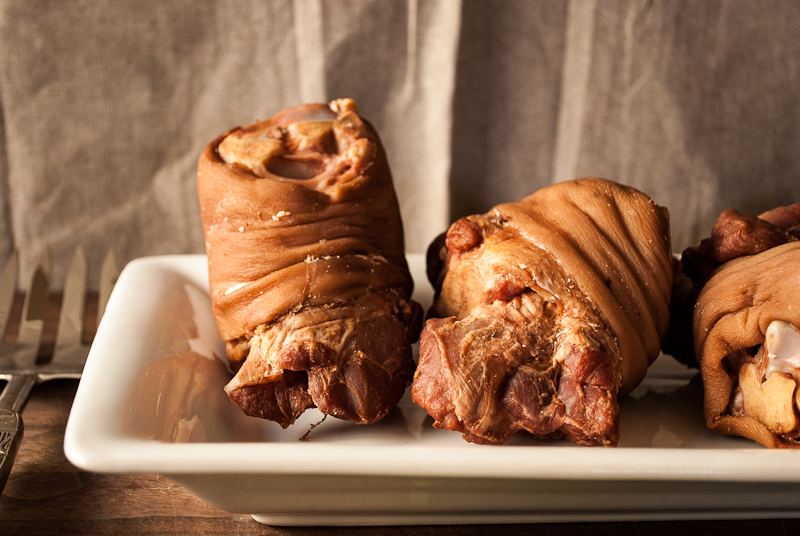 Find some smoked ham hocks for smoky ham flavor, and don’t skimp on the onions…. You could use regular ham hocks, or diced ham, but it just does not taste the same as smoked ham hocks! 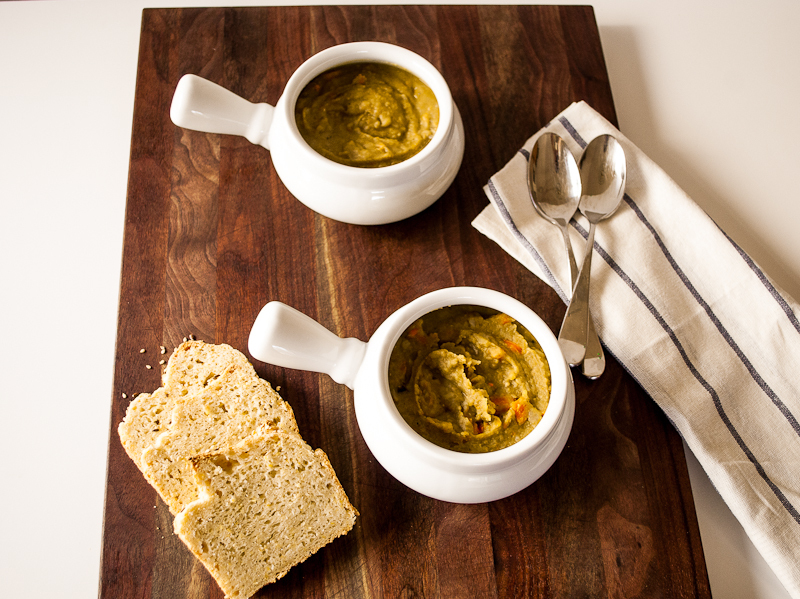 The smoky flavor makes so much difference in this soup…you must try it! But if you’re a fan of lots of meaty ham in your pea soup, these do not deliver, so you might want to add extra meat. 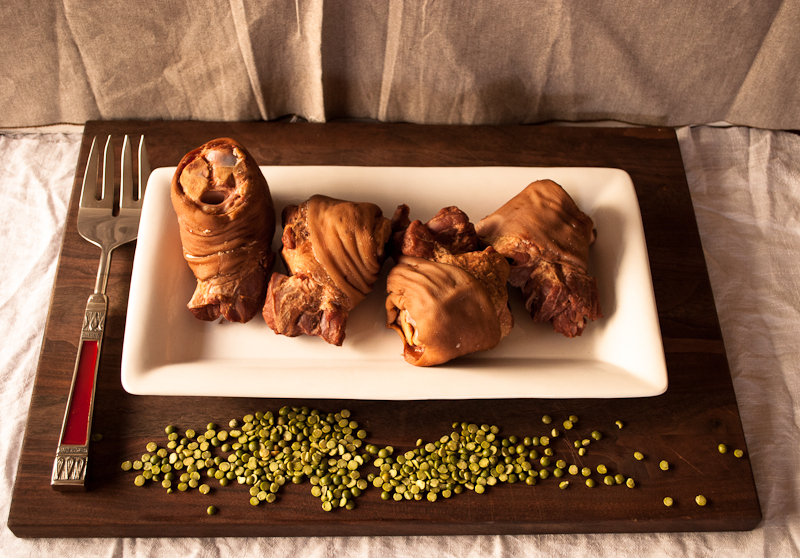 These ham hocks are strictly for flavor, and lots of flavor they deliver! Lots and lots of carrots are a must also… and a loaf of your favorite bread. Perfect for a crisp Fall evening or chilly Winter night. 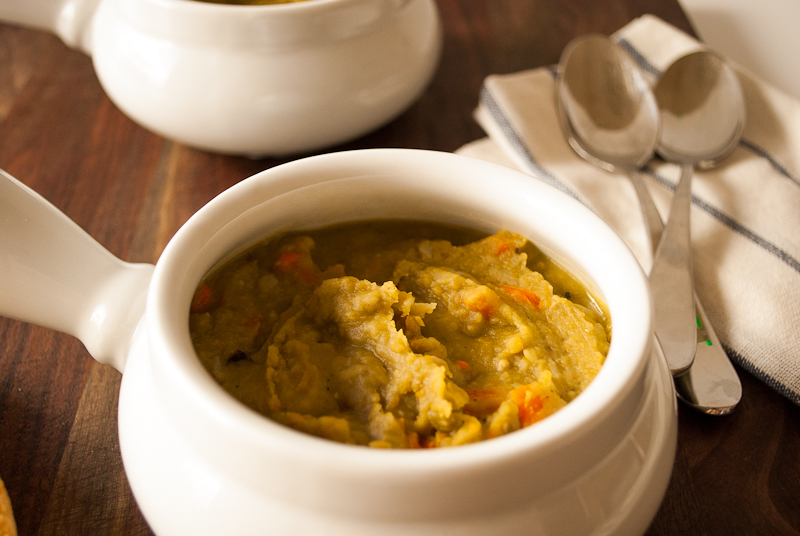 Thick and smoky split pea soup, better than the canned stuff! Soak split peas in water overnight. In a large cast iron pot or regular heavy pot, combine ham hocks, onions, carrots, split peas, salt and pepper. Cover with water, depending on how thick you like your soup, use less or more water. Remove ham hocks before serving.